The 3rd annual Santa Paws, hosted by Clarksdale Revitalization, is THIS SATURDAY, December 10th from 10:00 - 1:00 at Yazoo Park downtown. 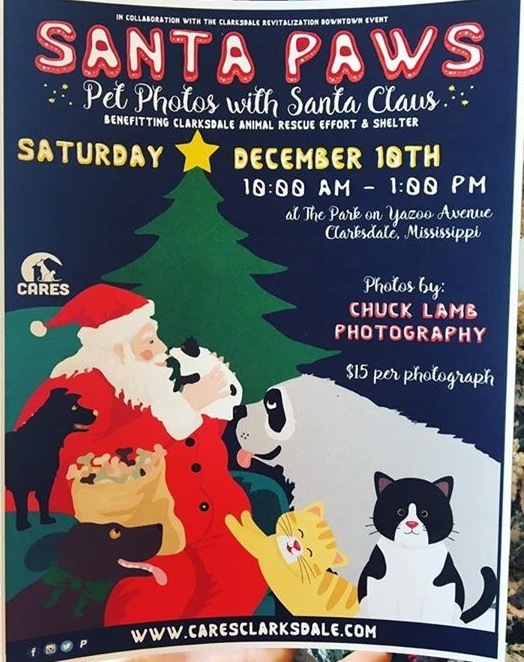 Bring your pets to have their picture made with Santa by professional photographer, Chuck Lamb! The event is sure to be fun for the whole family. T-shirts will be available for purchase or you can pre-order your shirt by visiting www.caresclarksdale.com. These make GREAT presents and can be shipped too! PLEASE consider purchasing a few shirts and supporting the stray pets of Clarksdale. The Chancel Choir of First United Methodist Church will present At Last Noel during the 11 a.m. worship service Sunday, December 11. The Church would like to invite you to this special presentation of Christmas music. You will be truly blessed, and it will definitely put you in the Christmas Spirit. Students, if you have completed service hours but have not turned them in to Mrs. Antici, please do so as soon as possible. Service hour forms are in Mrs. Antici’s office. Fall Athletic Banquet will be December 15 at 6:00. 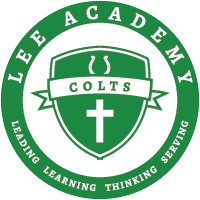 Basketball games today starting at 3:00 at home vs Kirk. B team Girls will play first followed by B team boys. Please come out and support the Colts and Fillies Basket Ball Teams! Class ring Representative will be here Monday at break to hand out class rings if you ordered one. You must have your balance to receive your ring. Seniors interested in majoring in an Agricultural Field see Mrs. Antici for information on a scholarship. Juniors interested in a medical career, see Mrs. Antici. Mississippi State Admission counselor will be here Friday in the library during Student Support for Seniors attending Mississippi State. This month’s service project for the entire school is canned goods for the Care Station. All canned goods need to be in by Monday. NO GREEN BEANS PLEASE! The following Key Club members will attend and host the special needs party at George Oliver School on Tuesday, December 13. They will leave at 11:15 and return by 1 p.m. Members, please remember to wear something Christmas-y!